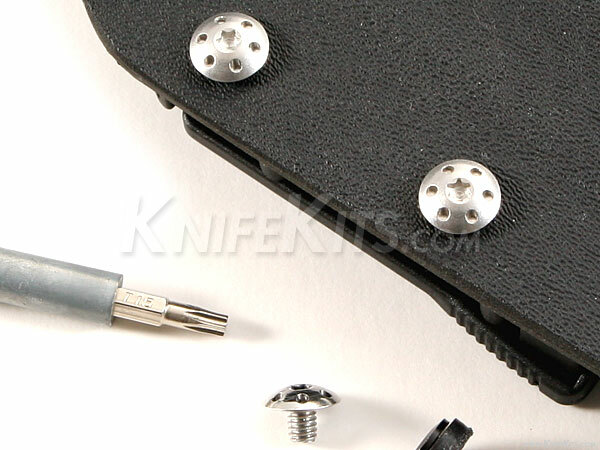 Add a truly unique touch to your next custom sheath or holster with these Spanner-style designer 8-32 mounting screws. These are direct replacement screws for 8-32 threaded posts, such as Chicago screw posts, TLMAB posts and slotted-posts. These are made from 304 stainless steel and can be polished to a mirror finish, if desired. 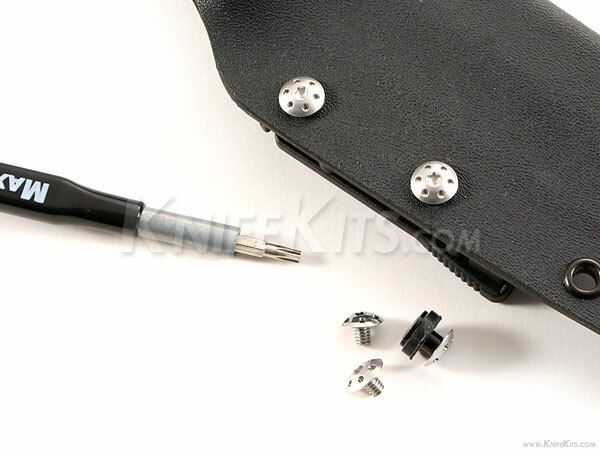 Each precision screw features a TORX 15 driver socket with a solid driver recess. 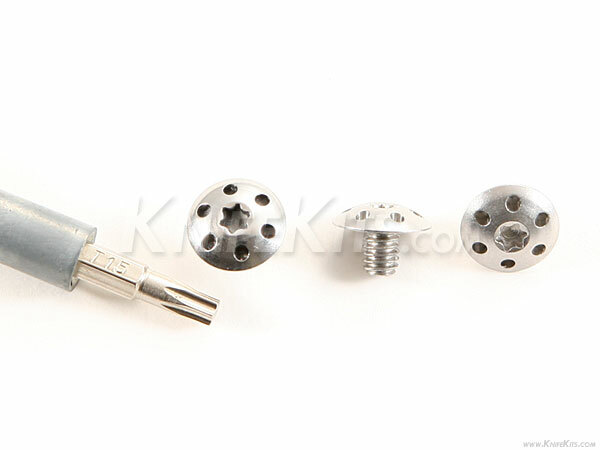 Note: Some images below may show sample mounting posts and washers commonly used with these type of mounting screws. Posts and washers are sold separately.